Seek the source of sabotage on a Hollywood set! 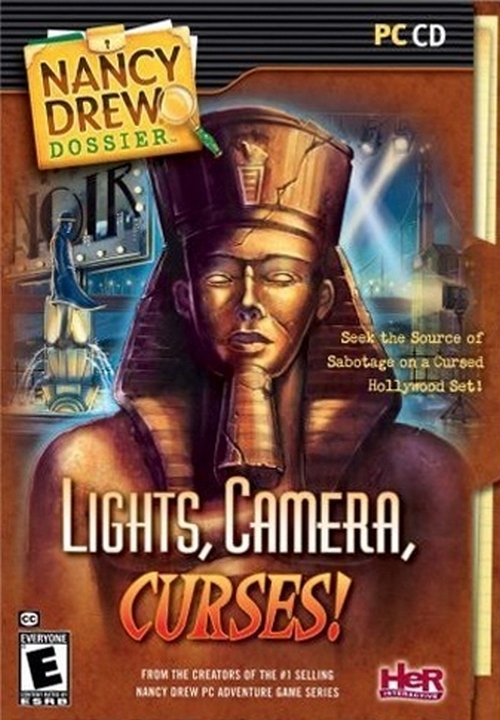 You, as Nancy Drew, are on the set of a controversial remake of the famous 1930's film "Pharaoh!" The studio's original movie released with an alternate ending due to the untimely death of Lois Manson, the film's star, and became a box office smash. Now, Nancy Drew is undercover on the set to get to the bottom of suspicious press leaks and uncanny accidents that have the production schedule in jeopardy. Is someone trying to sabotage the movie or is it a curse of the fallen film star?